On Monday the first working day, 11th July, the Moon waxing is in Virgo. This will help us in any matters that require good communication, intuition and intelligence. Good for starting of new business and new initiatives. On 8th of July Venus entered Cancer. Venus, even though still invisible is strong there as a night ruler of the sign. The planet that is traditionally associated with love will meet the intuitive and empathic Cancer. This will make you nurturing, protective, feeling for your homeland and mother. This is a period with soft emotions up until 2nd August when Venus will move to Leo. Mercury and the Sun are still in Gemini. This is indeed a strong position as it takes place in the Summer Solstice sign. The aspect could be very helpful for career growth for those of us who would have it on the 10th astrological house, this of the career. Today Mars became direct only two days ago. Mars represents our ambitions, initiatives, desire, and masculine energy. This is very good and very helpful and supporting for our ambitions and plans. The Sun and Mercury make a trine harmonious aspect to Mars in Libra. This will give him some energy and mental powers and control over emotions. So, use this moment for career growth, new jobs, new opportunities, which involve ambition and the masculine energies of Mars. Saturn is retrograde and still in Scorpio and opposing the king star of luck and money Aldebaran. So, once again, we need to wait for the big financial success for one more year. Saturn can bring some health issues and delays in solving any matters, depending on the person’s horoscope. This is a good time for solving old unresolved matters from the past. If Saturn is on your ascendant, take good care of your health. However, Saturn receives harmonious square aspect from Jupiter in Leo, and this should soften his difficult otherwise influence, to make the period easier for us. Jupiter is still in Leo. This emotional configuration is still valid and will make us with high self esteem, generous and lofty. Remember, the period is very good for new job opportunities and projects. Trust your intuition and use it in every life matter! The moment is also good for career growth. However, due to the invisible Venus and the harmed fixed star Aldebaran, we still cannot hope for the very high financial business results and great love up until the 27th July when she will shine on the sky again as an Evening Star. Use the time for doing and enjoying some art. Today the waxing Moon will enter Libra to join Mars there. This will make you very social with positive moods. Do not forget that Mars represents our ambitions, initiatives, desire, and masculine energy. This is very good and very helpful and supporting for our ambitions and plans. When the Moon reaches Mars, will activate his energies of impulsiveness, fiery temperaments, emotional outbursts. You can use this in a very positive way, by creating something pioneering and beautiful. Venus is in Cancer. Mercury enters Cancer to make you very intuitive, better orators and inclined towards different forms of art. Venus, even though still invisible is strong there as a night ruler of the sign. The planet that is traditionally associated with love will meet the intuitive and empathic Cancer. This will make you nurturing, protective, feeling for your homeland and mother. This is a period with soft emotions up until 2nd August when Venus will move to Leo. The Sun is still in Gemini. This is indeed a strong position as it takes place in the Summer Solstice sign. This could be very helpful for career growth for those of us who would have it on the 10th astrological house, this of the career. Saturn is retrograde and still in Scorpio. Saturn can bring some health issues and delays in solving any matters, depending on the person’s horoscope. This is a good time for solving old unresolved matters from the past. If Saturn is on your ascendant, take good care of your health. Today the waxing Moon is in Libra with Mars there. This will make you very social with positive moods. Do not forget that Mars represents our ambitions, initiatives, desire, and masculine energy. This is very good and very helpful and supporting for our ambitions and plans. Also today the waxing Moon is in Libra with Mars there. This will make you very social with positive moods. Do not forget that Mars represents our ambitions, initiatives, desire, and masculine energy. This is very good and very helpful and supporting for our ambitions and plans. Today the waxing Moon enters Scorpio to join Saturn there. The Moon has rulership there and is very strong and intuitive. This position can increase your motivation to deal with esoteric, occult and spiritual topics. This will even be increased from the presence of the retrograde Saturn. Due to the retrograde Saturn, this might be a good time for us to learn patience as a way to perfect our karma. This is also because Saturn requires extra effort in everything we do. Remember, the period is very good for increasing your intuition and spiritual growth. Trust your intuition and use it in every life matter! Use the time for doing and enjoying some art. Also today, Saturday the waxing Moon is in Scorpio together with Saturn. The Moon has rulership there and is very strong and intuitive. This position can increase your motivation to deal with esoteric, occult and spiritual topics. This will even be increased from the presence of the retrograde Saturn. Due to the retrograde Saturn, this might be a good time for us to learn patience as a way to perfect our karma. This is also because Saturn requires extra effort in everything we do. This energies will reach their pick when Moon makes the exact conjunction (to come together in the same degree) with Saturn. Saturn is retrograde and can bring some health issues and delays in solving any matters, depending on the person’s horoscope. This is a good time for solving old unresolved matters from the past. If Saturn is on your ascendant, take good care of your health. On Sunday the Moon is still in Scorpio and Mars will enter Scorpio to join Saturn there. So, this Mars who receives the negative influences of Saturn is not better if we want to start new business or initiatives also because both planets are endangering the planet of luck and happiness Aldebaran. 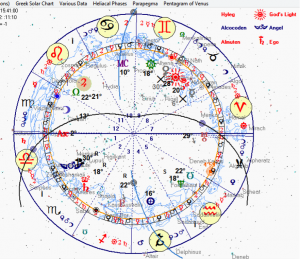 However, if you want a better planetary situation for good business and initiatives of any kind, wait until Venus becomes visible on the 27th of July. Saturn and Mars receive harmonious square aspect from Jupiter in Leo, and this should soften his difficult otherwise influence, to make the period easier for us. The week starts with three invisible planets in Gemini. The Moon, Venus and Mercury are invisible and together with the Sun in Gemini. The invisible planets cannot grant us with the expected powers. So, even though this planetary configuration looks powerful, we still cannot expect any business or private growth. Please also remember; do not start anything when the Moon is invisible. Do not do any medical surgeries. The four planets make a trine harmonious aspect to the stationary Mars in Libra. This will give him some energy and powers, but not enough in order to be helpful and support us in our ambitions. First; because of his stationary phase, second, because he is very weak in Libra. Mars represents our ambitions, initiatives, desire, and masculine energy. If stationary (does not move), his energies are “stuck” and we might not be able to move forward in our personal and business life. So, all these energies of initiative, anger, and ambition might be suppressed. Thus, be nice and patient with your partners and also this week, do not make important decisions involving business or personal life. Remember, three invisible planets on the sky are not helpful for starting business, making surgeries or initiate anything new. Solve old unresolved life issues and make time for your spiritual development and the people you love. The Moon on Tuesday is still invisible and in Cancer. This is the best place for the Moon as she rules Cancer. The invisible Moon will not help us in starting business, or anything new. This Moon is good for testing our intuition, finishing unresolved issues and to take care of your family and beloved ones. Mercury, Venus, both invisible and the Sun are in Gemini. 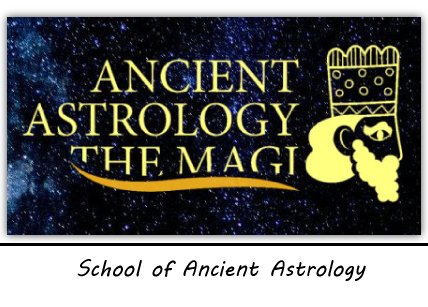 This is indeed a strong position as it takes place in the Summer Solstice sign, but because the planets are invisible, they cannot be of a real help for our business or love life. The three planets make a trine harmonious aspect to the stationary Mars in Libra. This will give him some energy and powers, but not enough in order to be helpful and support us in our ambitions. First; because of his stationary phase, second, because he is very weak in Libra. On 6th July at 21hrs the Moon will become visible waxing and still in Cancer. This is a good starting period for doing some new business and initiatives of all kinds. However, remember, Venus is invisible. When Venus is not to be seen on the sky, she cannot grant us with all her benefits. In this case these are money and love. So, up until 27th of July, we need to be patient in our expectations for very good incomes and passionate love. Remember, this period is better for starting new business or initiatives of any kinds. However, due to the invisible Venus, we still cannot hope for the very high financial business results and great love up until the 27th July when she will shine on the sky again as a Morning Star. On Friday the Moon is waxing and in Leo with Jupiter. This will give us great internal strength and intuition. These should be very helpful for our business and everyday matters. Today Mars becomes direct again. Mars represents our ambitions, initiatives, desire, and masculine energy. This is very good and very helpful and supporting for our ambitions and plans. Remember, this period is better for starting new business or initiatives of any kinds. The moment is also good for career growth. However, due to the invisible Venus, we still cannot hope for the very high financial business results and great love up until the 27th July when she will shine on the sky again as a Morning Star. On Saturday the Moon is waxing and still in Leo together with Jupiter. This will give us great internal strength and intuition. These should be very helpful for our business and everyday matters. From 15h on Saturday until 1hrs on Sunday the Moon will have no course. So, do not make any new initiatives during this short period. On Sunday the waxing Moon enters Virgo. This will help us in any matters that require good communication, intuition and intelligence. Good for starting of new business and new initiatives. On 8th of July Venus enters Cancer. Venus, even though still invisible is strong there as a night ruler of the sign. The planet that is traditionally associated with love will meet the intuitive and empathic Cancer. This will make you nurturing, protective, feeling for your homeland and mother. This is a period with soft emotions up until 2nd August when Venus will move to Leo. On Monday, the first working day, the Moon is in Pisces and is waning. This is a great place for the Moon as she has a rulership there. The sensitive and intuitive Moon meets the sensitive and empathic Pisces. Isn’t this a great time for expanding our consciousness and increasing our spirituality? 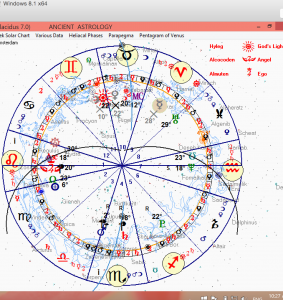 The waning Moon from Pisces makes a square (not harmonious) aspect to the Sun in Gemini. This can cause us some personal, temporary emotional tensions. Remember, the waning Moon is not good for starting anything new. Mercury is in Taurus. This will bring some harmony to our thoughts. However, do not forget the difficult oposition of Saturn, who is in station. This can bring some difficulties and stress in resolving matters. Try to remain patient, well organized and disciplined when solving important tasks of any character. This is how we can please Saturn and deal with his difficult influences. When two malefic (bad) planets are in station they do not seem to move forward or backwards and are problematic. Saturn can bring some health issues and delays in solving any matters, depending on the person’s horoscope. Mars represents our ambitions, initiatives, desire, and masculine energy. If stationary, his energies are “stuck” and we might not be able to move forward in our personal and business life. So, all these energies of initiative, anger, and ambition might be suppressed. Thus, be nice and patient with your partners and also this week, do not make important decisions involving business or personal life. Saturn is opposition to the King star of luck and money Aldebaran. So, even more, the star cannot help us and grant us with the good luck that we need in every thing we start related to finances and also personal life. Venus is still invisible, and cannot be of a great help in terms of love and money. So, we cannot count on financial and business growth during this period. The Moon is still in Pisces, waning. A very good and confortable place for the Moon! The sensitive and intuitive Moon meets the sensitive and empathic Pisces. Isn’t this a great time for expanding our consciousness and increasing our spirituality? The waning Moon from Pisces makes a square (not harmonious) aspect to the Sun in Gemini. This can cause us some personal, temporary emotional tensions. From 21h until after midnight the Moon will have no course. This is not a good moment for any initiatives neither in personal nor in business plan. Mercury moves to Gemini. This is the best place for Mercury, because he rules Gemini. Mercury, who represents our minds and intelligence, will meet Venus and the Sun in Gemini. Even though Venus is not visible, still this is a powerful trio to support us in any mental and art work. Those that have these planets in the place of career can have a tremendous career growth, especially after the end of July when Venus will become visible again. Still, do not start any new business and avoid all kinds of new initiatives. Concentrate on mental, art or trade work. There you will have success. Saturn is in Scorpio, in station and opposing the king star of luck and money Aldebaran. So, once again, we need to wait for the big financial success for one more year. The good news is that Saturn is not endangering anymore in disharmonious opposition Mercury and Venus. So, they both can be more helpful as I described above in mental, art and trade work. The Moon is in Aries and waning. This aspect will make us courageous. Even more courageous will be those of us that have Aries at the ascendant. Still, do not forget that the Moon is waning; Venus is invisible on the sky. So, the time is not right for new business and initiatives of any kind. Yesterday Mercury entered Gemini. This is the best place for Mercury, because he rules Gemini. Today, Wednesday, he will be in the 5° of Gemini right in the point of the Solar Solstice. This will give Mercury extra power, and he, who represents our minds and intelligence, met Venus and the Sun in Gemini. Even though Venus is not visible, still this is a powerful trio to support us in any mental and art work. Those that have these planets in the place of career can have a tremendous career growth, especially after the end of July when Venus will become visible again. Still, do not start any new business and avoid all kinds of new initiatives. Concentrate on mental, art or trade work. There you will have success. On Tuesday Mercury entered Gemini. This is the best place for Mercury, because he rules Gemini. Mercury represents our minds and intelligence and together with Venus and the Sun, which are also in Gemini will support us in any mental and art work. Those that have these planets in the place of career can have a tremendous career growth, especially after the end of July when Venus will become visible again (when a planet is invisible, does not grant us with her full powers and qualities). Still, do not start any new business and avoid all kinds of new initiatives. Concentrate on mental, art or trade work. There you will have success. Saturn is in Scorpio, retrograde again and opposing the king star of luck and money Aldebaran. So, once again, we need to wait for the big financial success for one more year. The good news is that Saturn is not endangering anymore in disharmonious opposition Mercury and Venus. So, they both can be more helpful as I described above in mental, art and trade work. When two malefic (bad) planets are retrograde they do move backwards and even worsen the problems they can cause. If retrograde, his energy is internalized. So, all these energies of initiative, anger, and ambition you will experience internally. This could be a good time to rethink and reanalyze initiatives and projects that you started in the past. Those of you that have Mars on the ascendent will feel this negative transit even more. This can cause you troubles in the personal life. Take good care of your health and have some patience until Mars changes position. The Moon is in Taurus, waning. This is a great place for the Moon, because she is in her exaltation there! So, use the time to enhance your intuition, creativity, and spirituality. You might experience some powerful emotions in your personal life and relationship. Still, do not start a new business. When two malefic (bad) planets are retrograde they do move backwards and even worsen the problems they can cause. If Mars is retrograde, his energy is internalized. So, all these energies of initiative, anger, and ambition you will experience internally. This could be a good time to rethink and reanalyze initiatives and projects that you started in the past. On Saturday the Moon is still in Taurus, waning. This is a great place for the Moon, because she is in her exaltation there! So, use the time to enhance your intuition, creativity, and spirituality. You might experience some powerful emotions in your personal life and relationship. Still, do not start a new business. On Sunday the Moon enters Gemini and becomes invisible! This is not a good aspect! Remember; do not do any medical surgeries! The time is not good for starting new business or initiatives. This is valid until 6th June 21hrs when the Moon will become visible again on the sky and will be waxing. Mercury is still in Gemini. This is the best place for Mercury, because he rules Gemini. Mercury represents our minds and intelligence and together with Venus and the Sun, which are also in Gemini will support us in any mental and art work. Those that have these planets in the place of career can have a tremendous career growth, especially after the end of July when Venus will become visible again (when a planet is invisible, does not grant us with her full powers and qualities). Still, do not start any new business and avoid all kinds of new initiatives. Concentrate on mental, art or trade work. There you will have success. This is the Summer Solstice day! 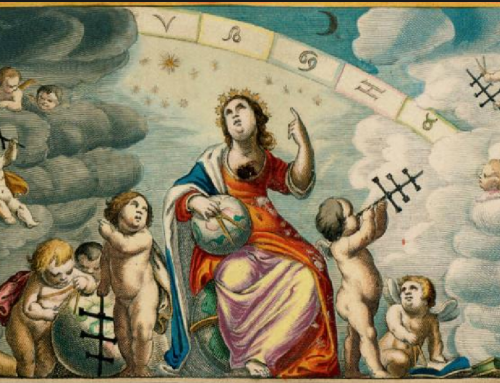 A very important day when the Sun reaches the highest and brightest point on the sky in the 5° of Gemini. This is the longest day of the year. Moreover, the Moon is full. From ancient times until now, this has been the best time to celebrate the light of consciousness and to further awake spiritually. Thus, the Sun, which represents our highest consciousness, will illuminate the deepest parts of our emotions, which are to be represented by the Moon. This is also a great period for obtaining new knowledge. The full Moon in astrology occurs when the Moon is opposite the Sun. This time the Sun and the Moon are on the opposite sides of the Earth. This is a very major aspect that brings our attention to all important relationships in our lives. Rethink your personal relationships and give attention to your beloved ones. This full Moon is connected to the previous full Moon, which was on 4th June. So, now is the time for consideration and to complete and harvest everything that you started during the previous full Moon. Mercury is in Taurus. This will bring some harmony to our thoughts. However, do not forget the difficult opposition of Saturn, still retrograde, which can bring some difficulties and stress in resolving matters. Try to remain patient, well organized and disciplined when solving important tasks of any character. This is how we can please Saturn and deal with his difficult influences. When two planets are retrograde they move backwards and even worsen the difficulties that they can cause us. So, also this week, do not make important decisions involving business or personal life. Saturn is opposition to the King star of luck and money Aldebaran. So, even more, the star cannot help us and grant us with the good luck that we need in every thing we start related to finances and also personal life. Venus is still invisible, and cannot be of a great help in terms of love and money. So, we cannot count on financial and business growth during this period. Mars, also retrograde is in the last degrees of Libra. Mars in Libra can be a good moment to test our personal relationships. Mars represents our ambitions, initiatives, desire, and masculine energy. If retrograde, his energy is internalized. So, all these energies of initiative, anger, and ambition you will experience internally. This could be a good time to rethink and reanalyze initiatives and projects that you started in the past. The waning Moon in Sagittarius will support progress, growth and learning in every discipline you choose. Still, the waning Moon might not be very good for new life initiatives and beginnings. The retrograde Mars in Libra is also a sign that we might experience some personal difficulties in our relationships and that this could be a good time to rethink our past achievements also improve them, but not starting anything new. Jupiter will still be here, to give us good self esteem and lofty ideas. The Moon is waning and enters Capricorn. Until the Moon stays there, we will be able to keep our emotions under control and not review on the surface what we think and feel. This might be good for the materialistic business world, but do not forget, the waning Moon is not good for starting a new business. The Moon is waning and still in Capricorn. Until the Moon stays there, we will be able to keep our emotions under control and not review on the surface what we think and feel. This might be good for the materialistic business world, but do not forget, the waning Moon is not good for starting a new business. The Moon is waning and leaving Capricorn. 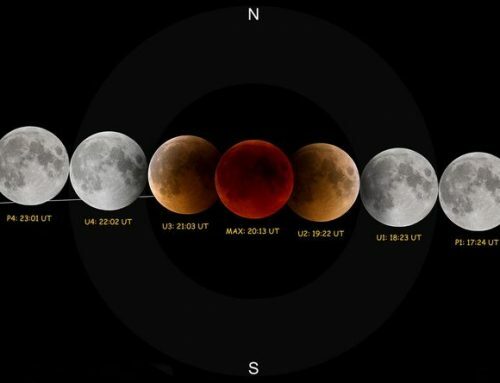 Remember, from around 12h until 18hrs, the Moon will have no course. This is a good time to rest and not undertake any new business or personal initiatives. Avoid medical surgeries if possible too. Until the Moon stays in CApricorn, we will be able to keep our emotions under control and not review on the surface what we think and feel. This might be good for the materialistic business world, but do not forget, the waning Moon is not good for starting a new business. The Moon is waning and enters Aquarius. 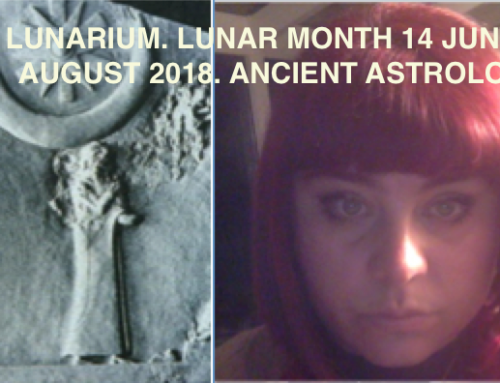 The intellectuality of Aquarius and the sensitivity and intuition of the Moon, will make us very good observers, empathic and willing to help the others. A good moment to spend time with friends. On Saturday around 9h CET for about an hour and a half, the Moon will be in conjunction with the fixed star Fomelhaut. This is a very important star of spirituality, and this important aspect can have an important role on your intuition. So, do not hesitate and use the short moment to make use of it and even test your intuition. On Sunday the Moon will be leaving Aquarius and will have no course. So from around 17h until 22hrs do not make any new starts in your life. Do not do medical surgeries also. Monday, the first working day, the Moon is in Virgo waxing. Mercury rules Virgo. 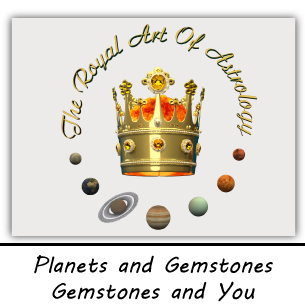 The sensitivity of the growing Moon and the logical and smart Mercury will increase our interest towards art and intellectual activities. We will feel inspired to create and perfect our creations. The waxing Moon, in general is good for staring new business or other initiatives. Still, we need to do this with caution, taking into consideration the two retrograde planets Mars and Saturn, and the invisible Venus, which will not support any financial business activities. Mercury is in Taurus with the invisible Venus and the Sun. This is the trio of action, love and communication. This will give us some energy in our business and everyday life. Venus is still invisible, so I do not dare to say that she will enhance our love life yet. The opposition of the retrograde Saturn from Scorpio is also decreasing the power of the positive conjunction of the Sun, Mercury and Venus. When the planets are retrograde they move backwards and even worsen the difficulties that they can cause us. So, also this week, do not make important decisions involving business or personal life. Saturn is opposition to the King star of luck and money Aldebaran. So, even more, the star cannot help us and grant us with the good luck that we need in every thing we start related to finances and also personal life. We cannot count on financial and business growth during this period. During this period we should avoid any property issues or court cases. Only honesty, discipline and self restraint will help us survive the moment. Mars, also retrograde is in the last degrees of Libra. Mars represents our ambitions, initiatives, desire, and masculine energy. If retrograde, his energy is internalized. So, all these energies of initiative, anger, and ambition you will experience internally. This could be a good time to rethink and reanalyze initiatives and projects that you started in the past. The good thing is that Jupiter is making a good square, yes, I repeat, good 🙂 aspect (the squares from Jupiter can be good and blessing) to Saturn, which would mean that with some efforts, good organistion and discipline, we could expect some general positive trends and the positive gaze of Jupiter will stabilize Saturn and will have a good impact on him. What Saturn in Scorpio will bring to you, depends on your personal chart, and which house Saturn is occupying. Let me remind you about the interesting phenomenon; from 29th May until 26th June, we will be witnessing a christ in the sky, formed from the Sun, the Moon, Venus, Mercury, Jupiter, Neptune, and Saturn. 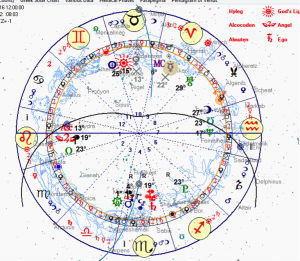 This is a very serious and powerful configuration, and depends on everyone’s horoscope how it will impact his life. In general, this are powerful spiritual energies that show us the path of faith, love and God! This cosmic drawing will have a serious impact also on the world scene as it may increase the tension in religious, social and political grounds. The above is not an easy configuration of the planets. It depends on us how to benefit from it and learn owr lesson of patience. Spiritual activities and meditation could ease our mind and help us even enjoy the chalenging period. The Moon is still in Gemini and waxing. Venis is still invisible, but changed sign and entered Gemini. This position will make you inspired to write beautiful poems and prose. However, do not forget that Venus being invisible is still not capable of blessing us with the love and money we are expecting. So, be careful in the financial and personal decisions you make. The other planets haven’t changed signs. The Moon is in Libra. Libra is ruled by Venus. This leads to harmony, peace and sharing and this lunar position might increase our need for partnership. The Moon is in Libra. Libra is ruled by Venus. This leads to harmony, peace and sharing and this lunar position might increase your need for partnership. The Sun moves to Gemini to join the invisible Venus there. As Gemini is ruled by Mercury, this position of the planets can help us excel in fields like writing and communicating. All these to a limited degree due to the invisible phase of Venus. The Moon is in Libra joining the retrograde Mars. From around 10h until 15hrs the Moon will have no course (VOC void of course). So, this is not a good time for starting any business, new initiatives, and medical surgeries. The Moon is in Scorpio waxing. Scorpio is ruled by Mars. This position can increase your motivation to deal with esoteric, occult and spiritual topics. This will even be increased from the presence of the retrograde Saturn. Due to the retrograde Saturn, this might be a good time for us to learn patience as a way to perfect our karma. This is also because Saturn requires extra effort in everything we do. The other planets haven’t changed sign. Monday, the first working day, the Moon is in Gemini and is invisible. The Moon in Gemini is considered to be weak. She may cause some duality and give you troubles in forming judgments or making decisions. Moreover, the Moon is still invisible and that can cause additional confusion as well. So, remember, on the 6th of June do not make any serious decisions for you business, future or important medical operations. Enjoy the period with some relaxing activities. Mercury is in Aries, making a trine aspect to the Jupiter in Leo. First, let us not forget that Aries is the first zodiacal sign, and will make the people who have aries rising, impulsive, some times a bit childish, enthusiastic and leading. Mercury in Aries will enhance their intellectual side and will make them quick in communication and in decision making. The trine of Mercury and Jupiter is a very good, happy aspect for planning new things and innitiatives, travels. It is a great time for learning, studying and most of all, for further spiritual development. Venus and the Sun are in Taurus. This is a very good position for Venus, but being too close to the Sun is invisible and is not giving us the expected good features like love and money. The good news is that she will be invisible until 28th of July when being in Cancer she will help us review our abilities to love and feel compassion to others. Also this week the difficult planets Mars and Saturn will be in Scorpio and retrograde. When two planets are retrograde they move backwards and even worsen the difficulties that they can cause us. So, also this week, do not make important decisions involving business or personal life. Both planets are in opposition to the King star of luck and money Aldebaran. So, even more, the star cannot help us and grant us with the good luck that we need in every thing we start related to finances and also personal life. We cannot count on financial and business growth during this period. The good thing is that Jupiter is making a good square, yes, I repeat, good J aspect (the squares from Jupiter can be good and blessing) to Saturn, which would mean that with some efforts, good organization and discipline, we could expect some general positive trends and the positive gaze of Jupiter will stabilize Saturn and will have a good impact on him. This particular aspect, trine of Jupiter and Saturn can even bring us some money. Still, what Saturn in Scorpio will bring to you, depends on your personal chart, and which house Saturn is occupying. Note a very interesting phenomenon; from 29th May until 26th June, we will witness a christ on the sky, formed from the Sun, the Moon, Venus, Mercury, Jupiter, Neptune, and Saturn. 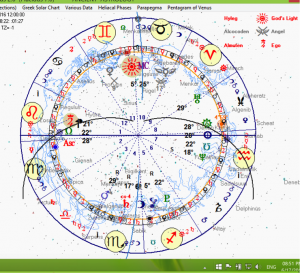 This is a very serious and powerful configuration, and depends on everyone’s horoscope how it will impact his life. In general, this are powerful spiritual energies that show us the path of faith, love and God! This cosmic drawing will have a serious impact also on the world scene as it may increase the tension in religious, social and political grounds. In any case, the configuration of the bad planets will teach us patience, and further enlightenment and spirituality. On Tuesday the Moon will still be in Gemini but waxing and already visible. This Moon will help is in the day-to-day activities and will be good for soving many tasks at the same time. The sextile aspect from Mercury in Aries will help us even more to organize our mind and stay focused. On Wednesday the Moon will be in Cancer and waxing. There the Moon is very strong and can increase our intuition, urge for spiritual activities, need to take care of the others. We might need some time for relaxation and spending time with our families. On Thursday the Moon is still in Cancer and waxing. Mercury will move to Taurus to join there the invisible Venus and the Sun. They are forming a good ‘triumvirat’ of action, love and communication. This will give us some energy in our business and everyday life. Venus is still invisible, so I do not dare to say that she will enhance our love life yet. On Friday the Moon is in Leo, waxing, joining Jupiter there. This will make our emotions very strong, passionate and vivid. We might tend to over do, feel a bit dramatic and too romantic. We might have a very nice lofty and spiritual thoughts. The square aspect of Mercury could help to put some good organization and logic into our thoughts and devote the energies into something useful and artistic. This will be a good time for some art. On Saturday the Moon is still in Leo in conjunction with Jupiter. On Sunday the Moon has no course. So, it is a good time to have some rest, devote time to arts and pleasures and not initiate anything new like business, relationships or medical operations. 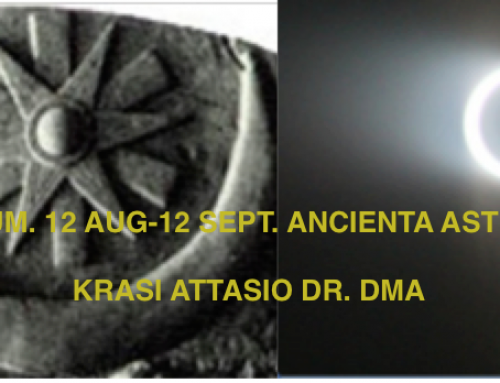 This report is made using the sidereal Babylonian zodiac, as used 5000 years BC in ancient Mesopotamia and not the tropical that is used by almost all contemporary astrologers. Monday, the 30th, the first working day, the Moon is still in Aquarius, waning, and VOC void of course from around 11 until around 18h CET. It is comonly considered that such Moon periods are characterized by inconsistency, a weird feeling of being somehow detached of reality and immersed into the cosmos, into the interplanetary space. This, for sure will be very beneficial period for the spiritual oriented people who will find this time as most auspicious for their spiritual endeavors. Everyone can benefit from this moments, the void of course Moon periods are truly great for taking a break from the common activities, for relaxing, for listening to music or reading literature, for catching up with house work or other routine activities that do not require much focus. The sun is in Taurus, where he moved on May 14 and will leave on June 14 and is in opposition to Mars and Saturn, both retrograde. Venus follows the Sun in Taurus from May 19 until June 12, and is combust. She is strong in Taurus, but combust or “invisible”, thus not capable of fully reviewing her great benefits in terms of love and money and all other positive features that she has. The opposition of Mars and Saturn (both retrograde), both malefic could create some conflicts, difficulties and setbacks. During this period, we should avoid making any important life decisions. Still, to benefit from Venus, we could find time for some art, fun and creativities. 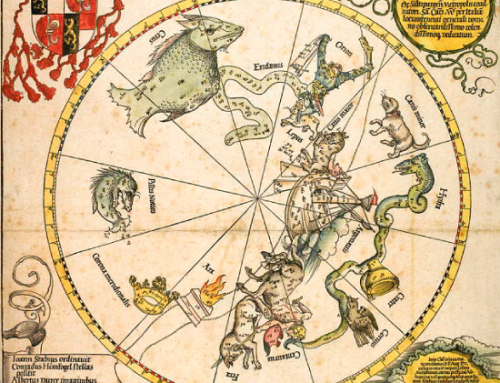 A very important detail related to our good luck and financial benefits, is that the fixed star Aldebaran, one of the four stars of the kings according to Hermes Trismegist in the 15th degree of Taurus is afflicted by the opposition of Saturn. He will stay there quite long and will not allow Aldebaran to grant us with the expected good features up until next year. So, again, those with Taurus rising and on the Meridian might not gain the expected business and financial growth for quite some time. The good thing is that Jupiter is making a good square, yes, I repeat, good J aspect (the squares from Jupiter can be good and blessing) to Saturn, which would mean that with some efforts, good organistion and discipline, we could expect some general positive trends and the positive gaze of Jupiter will stabilize Saturn and will have a good impact on him. What Saturn in Scorpio will bring to you, depends on your personal chart, and which house Saturn is occupying. On the 18th of April Mars became retrograde in Scorpio and will be retrograde until 30th of June. Scorpio is a Mars ruled sign, so this position and the retrograde state, make the malefic Mars even stronger. Those that have sidereal Scorpio on the ascendent would feel this transit the most. They might have some issues in starting new relationships, contracts negotiations and new initiatives. They should also take good care of their health. To benefit from this period and the energies, slow down, take things easy and have patience at least until 13th August, when the second malefic planet in Scorpio, Saturn becomes direct again. In any case, this particular configuration of the planets will teach us patience, and further enlightment and spirituality. Further, around 30th May, Mars gets closest to Earth and can even be seen with naked eyes. Mars closeness to Earth means that its energy and influences will be greater than ever. The Moon is in the Pisces, waning. It depends, of course, where your Pisces sign is situated in your own chart, but in general, those that have Pisces as a rising sign will feel pronounced sensitivity, increased intuition and spirituality. This is because the Pisces is ruled by Jupiter and is a sign known to be with strong intuitive powers and empathy. Adding to all these the sensitivity of the Moon, will describe the above characteristics. The Moon makes a sextile aspect to the Sun and Venus, which are still in Taurus. This is a harmonius aspect that can be very helpful should you like to devote time to art, creativity, nice social activities and love. 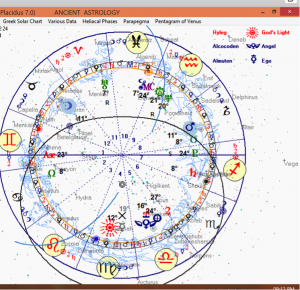 The positions of Mercury, Venus, Saturn, Jupiter and Mars are not changed. Mars and Saturn are still retrograde and in Scorpio. The Moon is in Aries, wanning. Aries is a masculine, fire sign suled by Mars. This is a change from the dreamy Pisces to the fiery Aries. This will bring some impetus and drive to act with emotions and start reviewing them, solving actively problems, making plans for opening businesses. Please do not forget that the wanning Moon is not very appropriate for starting a new business. Wait until it becomes waxing. Mercury is also in Aries, and this conjunction can be helpful, as it can add give logic and more intuition in solving matters. Thus, the Moon will add the empathy and the intuition, the Mercury will add the logic and the common sense. The other planets have not changed signs yet. The Moon is still in Aries and invisible. During the invisible phase of the Moon, is really not advisable to start new business, make surgery, take new innitiatives. Take it easy, give yourself a rest J. Make use of Venus in Taurus and find time for pleasures, art, creativity and beauty. The other planets did not change signs yet. The Moon is invisible in Taurus, conjoined with Venus, also still invisible and the Sun. What an interesting company! The Moon is exalting in Taurus, Venus is in own sign there. So, even so well placed, being invisible, both cannot give neither business and love success and achievements, nor money! In addition, Venus is in exact opposition to the malefic Saturn, which makes the problem even bigger. Still, remember that Jupiter was in Leo to give us spiritual drive and impetus and Venus is in Taurus. Find time for yourself, your hobbies, studies and personal development. 4th and 5th June, Saturday and Sunday. On Saturday the Moon is still invisible and in Taurus. The situation is not very much changed from the two previous days. On Sunday the Moon remains invisible and moves to Gemini. Gemini is a sign ruled by Mercury. So, this transit of the Moon should favour mental and communicative activities, even travels. Do not forget that the Moon is still invisible and this is not favourable for new initiatives, business, surgeries. It is still a good moment for hobbies, creativity, mental activities, a time for yourself!